The Quest is world-class content without equal. Enjoy over 15 hours of one of the most critically acclaimed and inspiring series ever seen on PBS. Timeless wisdom, powerful insights, extraordinary life skills. In these times of uncertainty, there is no better source of courage, strength and impeccable guidance. The QUEST was created for the PASSIONATE, BOLD & COURAGEOUS. 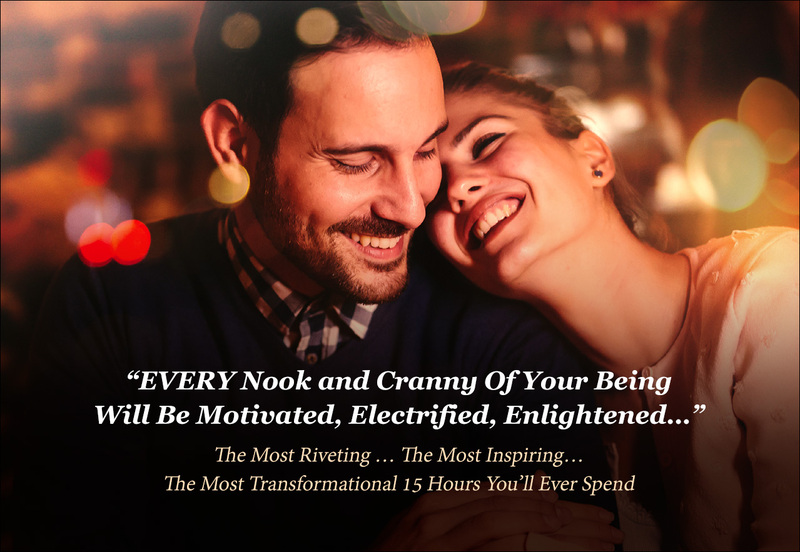 I invite you to experience the eye-opening Quest for spiritual discovery and personal growth to help you achieve the success you so richly deserve. 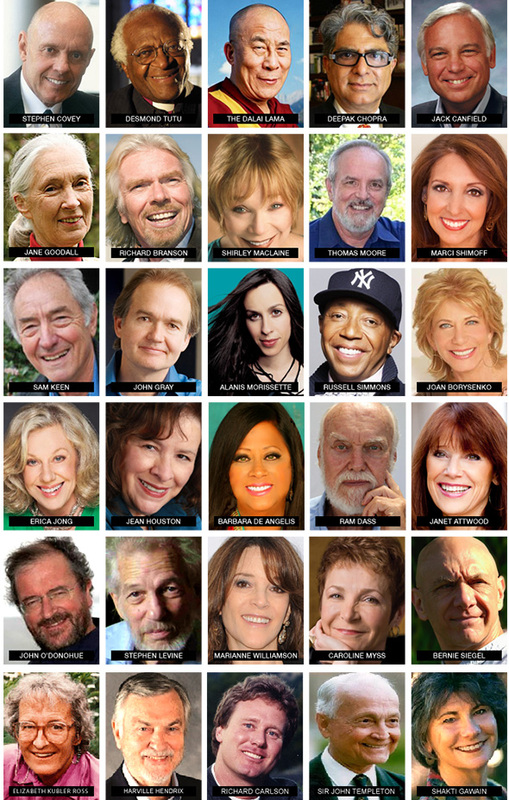 Leading-edge wisdom, tools, and insights from an unprecedented gathering of some of the world’s leading spiritual and business leaders, relationship experts, best-selling authors, Nobel Prize winners, billionaires and simply extraordinary human beings. 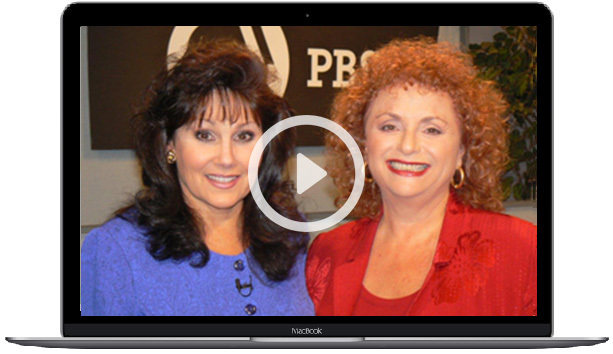 Enjoy unlimited streaming of over 15 hours of the profoundly moving Quest. 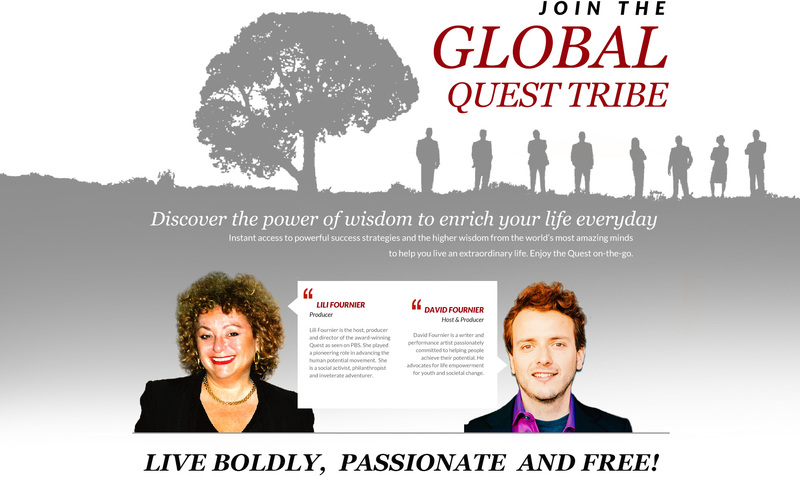 The Quest is a Self-Growth Extravaganza that generously gives you everything you need to enrich and transform your life. Tap into the wisdom and success strategies from some of world’s modern masters to help you manifest your dreams and goals into results. Take the Quest Journey and get these extra bonuses. * For serious seekers, the Quest E-book. Exploring a Sense of Soul. There is a dynamic at play here, between excellence and passion, between spirituality and health, between potential and achievement. And igniting that spirit, that passion for the possible, is where the journey begins. Enjoy a brief snapshot of the Quest with Lili Fournier from a live PBS pledge show in Atlanta. The Quest was seen my millions of viewers across North America and Europe. So many people told us the Quest changed their lives, watching the shows over and over again, as a powerful source of strength and inspiration in their daily lives. The Quest played a leading role in pioneering spirituality and the mind-body connection on broadcast TV, airing across the U.S., on six Canadian networks and in Europe. The Quest specials consistently captured top ratings, successfully raised millions for PBS fund-raising efforts and were the top selling videos off the air in Canada. 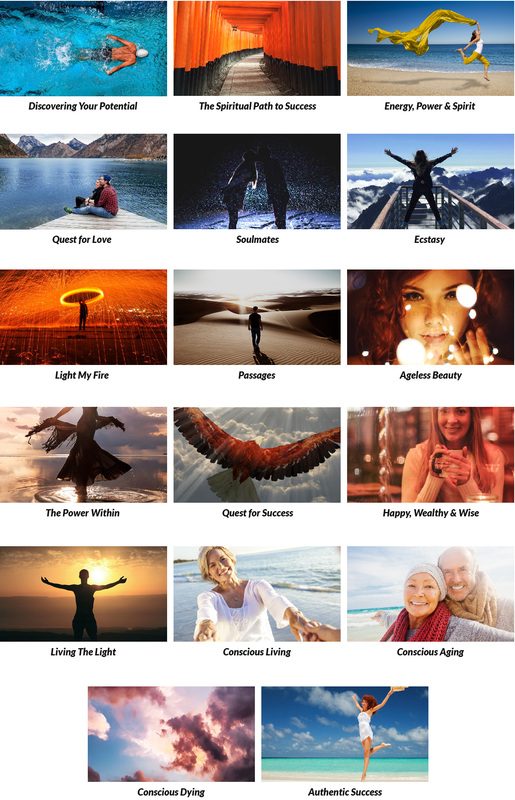 Chiat Day, the leading Ad Agency at the time (Apple’s Think Different Campaign) did a vanguard study on mega-trends in America, citing Spirituality, and chose the QUEST published by Simon & Schuster as the best personal development product in the U.S. marketplace. from some of the great leaders of our time. challenges as an opportunity for growth and change. The Quest offers you a deep-dive into a life-changing experience. Don’t miss this treasure chest of wisdom. The payment for the Ultimate Success Collection will process now. Two payments of $90 for the Ultimate Success Collection. The second payment will occur in 30 days.